Perform experiments on a legendary artifact and complete your quest. One morning, Pelias the collector asked his old friends Jason and Medea to deliver him a package. The package was the legendary glove of Midas. Rumor has it that it bestows magical powers on the wearer. Pelias decided to upgrade it a little and perform an experiment. How do you think it will all turn out? 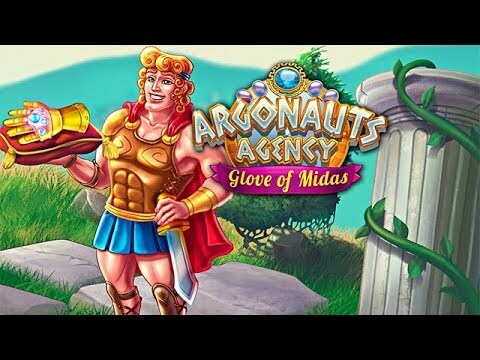 Featuring beautiful locations, an uplifting storyline with comics of your favorite characters, and a slew of engaging quests, Argonauts Agency: Glove of Midas will challenge you at every turn in this epic adventure. Juggle work duties and personal relationships on a dream vacation. Juggle the duties of a cruise director and tend to each passenger’s needs. Dethrone the reigning fashion queen on your way to the top. Fasten your seat belt and take to the skies as an airplane attendant. Survive an emotional roller coaster with a new bundle of joy on the way.